At the Chimney Household, the rabbits are early risers, a Chipmunk has been spotted near the garden, a red Cardinal usually perches and chirps on the deck at tea time and Dizzy has been itching to go out. It's springtime in Maryland and winter has overstayed its welcome. I've been missing the place where I was born - Tabuk City, Philippines. It wasn't a city back then but a small, you know everyone town. I was born near Downtown, if it's even proper to call it that, but my family later moved to a small farming community called San Juan. I loved growing up in San Juan. Our house was surrounded with fruit trees; Lolo (grandpa) Thomas planted all types of fruit trees from Mangoes, Oranges, Tamarind, Chinese-Guava (Champoy), Bananas, Santol, Mabolo and more. I relished how the air have a variegated scent from fresh, fragrant, fruity and clean. In the summer when the nights are hot and balmy, the Sampaguita's heavenly scent would fill the air lulling my siblings and I to sleep. Mom's Sampaguitas shine the brightest at night; their flowers emit their unforgettable scent throughout the backyard and permeate our bungalow house. What wonderful memories! So when I saw pots of Sampaguitas at our local nursery, I didn't hesitate to grab them. My excitement was beyond-the-roof. These flowers are a great addition to our potted plants and it will surely make our home fragrant especially when the balmy, summer nights arrive. I was so excited when I found pots of Sampaguita or Arabian Jasmine at our local nursery. These flowers are so fragrant. Sampaguita flower buds - I can't wait for them to bloom. They would surely make our deck smell heavenly and homey. In addition to the flowers, I've managed to pot some vegetables and herbs. It seems that our spring is late and the temperatures have been too cold to plant at the garden, so potting have been a plant saver. I still have seedlings growing in pots, and I'm hoping our temperatures would normalize soon so that I can transfer them to our garden. Snow Pea Tips - I love these sauteed with garlic and sesame oil. 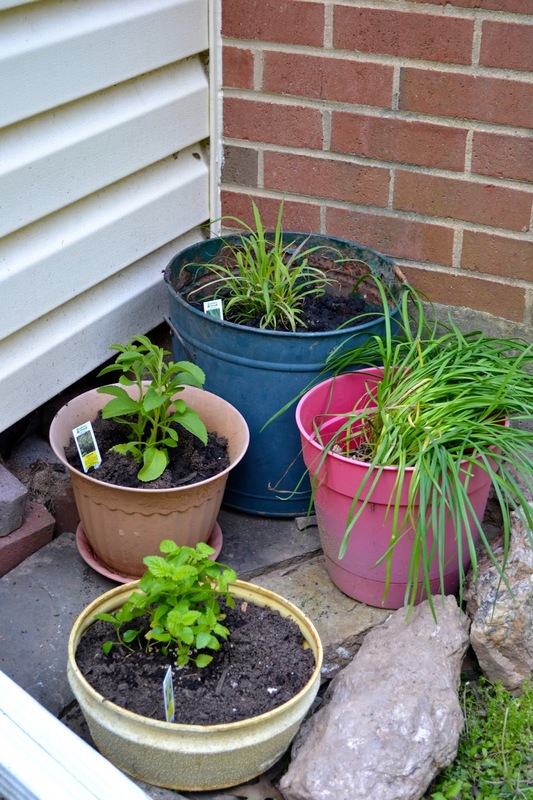 Pots of herbs - Stevia, Lemongrass, Green Leek and Mint Lemon. I heard we're getting some rain tonight. It's great for the plants and it will surely help me sleep better. You see, my skin graft-vs-host disease has been annoying me at night. What lovely memories. Hope spring makes it your way soon. We are almost on the brink of summer and I am not very happy. It is already starting to get too warm. Somehow, I've been really missing my place of birth lately. We've been missing the warmth here. We're in late spring and we still have the heater on. i love the sauteed snow pea tips at chinese restaurants. i can never grow sampaguita here no matter how many times i tried, so i just let it go. i did have some success with gardenia, but it didn't last as well. great memories of the homeland and your youth. me too, i love sauteed snow pea tips. i could eat a whole bowl of it. i hope these sampaguitas will grow ok. it's my first time having them. i'm going to pot them as i don't think they'll survive winter. wow. lovely memories of your hometown. i was there in tabuk city last august 2013. Hi Ed, How is Tabuk these days? Amazing. You all have green thumb in the family! 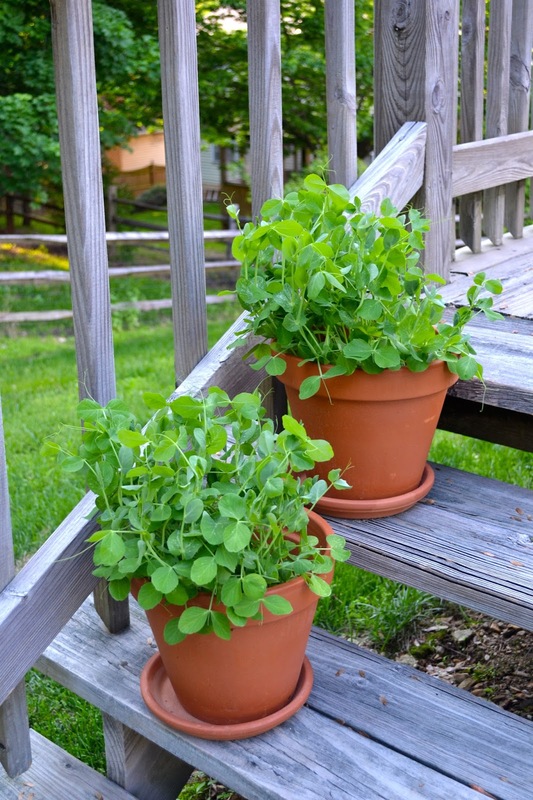 You have the same herbs with Ate Enden back in Gardena - except for the Snow Pea Tips. This is my dream one day ... to have a backyard garden and to have steady supply of fresh mint sauce! Do you grow Kale also?